Ismael Barroso (20-1-2, 19 KOs) demonstrated power in both hands as he landed a devastating liver shot to stop Fidel “The Atrisco Kid” Maldonado, Jr. (24-4-1, 19 KOs) in the sixth round of a scheduled 10-round super lightweight fight in the main event of Golden Boy Boxing on ESPN at Fantasy Springs Resort Casino. Besides dropping his opponent with a fight-finishing body punch, Barroso also landed a series of left hands to drop the Albuquerque, New Mexico native in the third round as well. The fight was a tactical battle between two southpaws, but the native of El Tigre, Venezuela was too powerful for Maldonado, Jr. to handle. In tonight’s co-main event, Argentine slugger Marcelino “Nino” Lopez (33-2-1, 18 KOs) scored a second-round knockout victory against former WBA Interim Super Lightweight Champion Pablo Cesar “El Demoledor” Cano (30-7-1, 21 KOs) in a scheduled 10-round welterweight fight. After a first round in which Cano controlled the distance with his left hand, the native of Tlalnepantla, Mexico released a lazy jab that immediately spelled doom for him. Indeed, Lopez leaned to his right to slip the jab, getting enough leverage from his feet to come back with a hard right hand and left hook that dropped Cano onto the canvas. Cano got back to his feet, but he was very wobbly, forcing the fight to be stopped at 2:27 of the second round. In the televised swing bout, Marvin Cabrera (6-0, 5 KOs) retained his undefeated record with a fourth-round technical knockout victory against Tijuana, Mexico’s Hector Velazquez (57-30-3, 39 KOs) in a scheduled six-round middleweight fight. Ruben Rodriquez (2-0, 1 KO), the quick and powerful welterweight prospect of Indio, California, scored a dominant four-round unanimous decision victory against Israel Villela (5-7, 2 KOs) of Mexico City, Mexico before a large crowd of his supporters. Rodriguez began the fight by landing quick, hard shots from his high guard, which he followed with combinations to the body and head. Rodriguez won with three scores of 40-36. Oscar Duarte (12-0-1, 7 KOs) beat Juan Montes (25-6-2, 15 KOs) to a bloody mess before winning by TKO after Montes’ corner called a halt to the fight at the end of the fourth round. The fight, which was held in the super lightweight division, was full of action, but Duarte’s combination of speed and skill was too much for Montes to handle. In the first bout of the evening, super featherweight prospect Javier Martinez (4-0, 3 KOs) of Dallas, Texas scored a tough six-round unanimous decision victory against Ricardo Arias (1-1-1). Martinez won with three scores of 59-55. 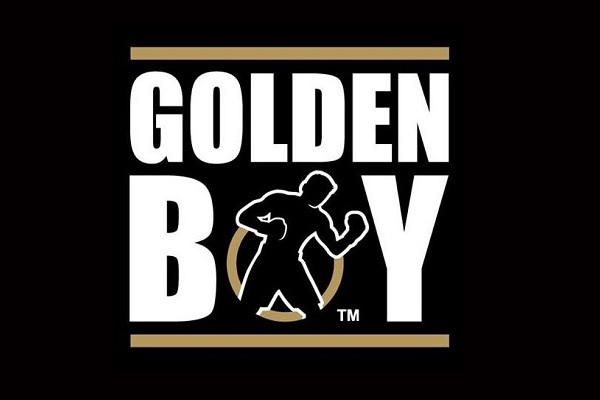 Maldonado, Jr. vs. Barroso was a 10-round super lightweight fight presented by Golden Boy Promotions. The event was sponsored by “TECATE, THE OFFICIAL BEER OF BOXING,” and Hennessy, “Never Stop. Never Settle.” ESPN Deportes transmitted the fights live from Fantasy Springs Resort Casino at 10:00 p.m. ET/7:00 p.m. PT. ESPN3 live streamed the entire card beginning at approximately 8:30 p.m. ET/ 5:30 p.m. PT.